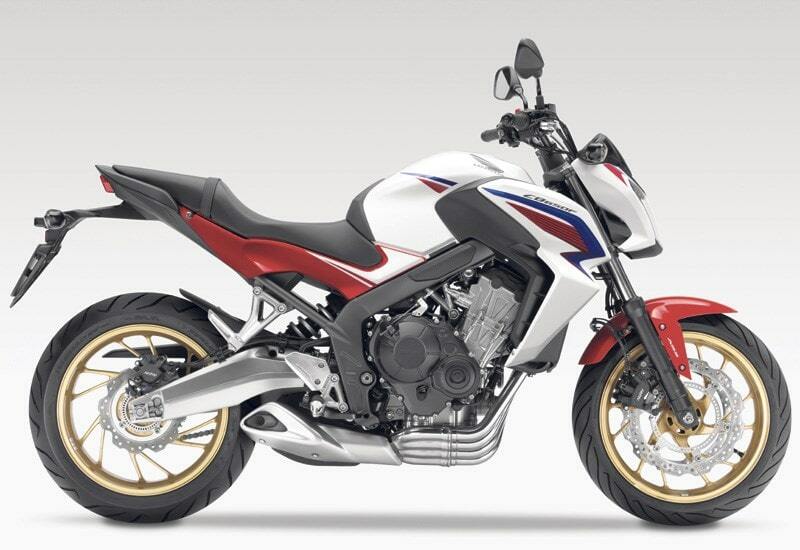 The brand new CB650F is a ‘new philosophy’, medium displacement motorcycle that combines sports performance and practicality, with a commanding Streetfighter look. It features a new engine with 4 cylinders in line that yields impressive torque in low and medium rpms. With a power output that comes close to 87hp, and with remarkably low fuel consumption, it offers everything you need for fascinating riding around the city and the countryside. Its performance is excellent in all asphalt environments, from urban networks to the repeated turns of country road networks, thanks to its specially designed frame and its robust suspension. All of the above compose a motorcycle of unique aesthetics that is always ready for everything! Max Power 87 hp / 11.000 r.p.m. Torque 63 Nm / 7.000r.p.m.